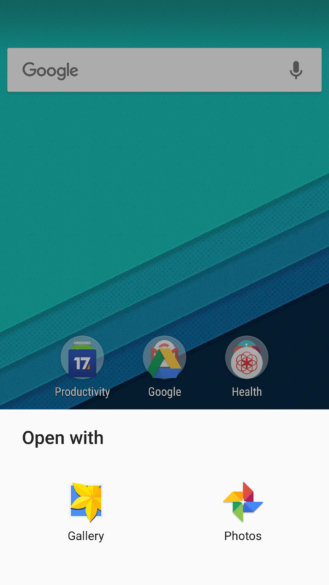 If you have one of Samsung's devices that were released in the past couple of years, chances are it either has had this annoying behavior since the start (Galaxy S7 / S7 edge) or it was introduced with some update (Note 4). What's the annoying behavior? 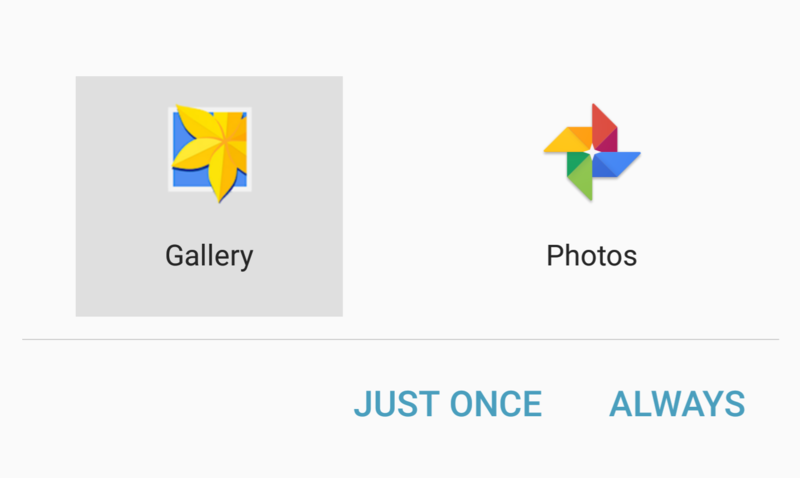 When you get the dialog to choose a default app to open a certain file or link or handle a certain action, you don't get any chance to make a temporary choice for once. 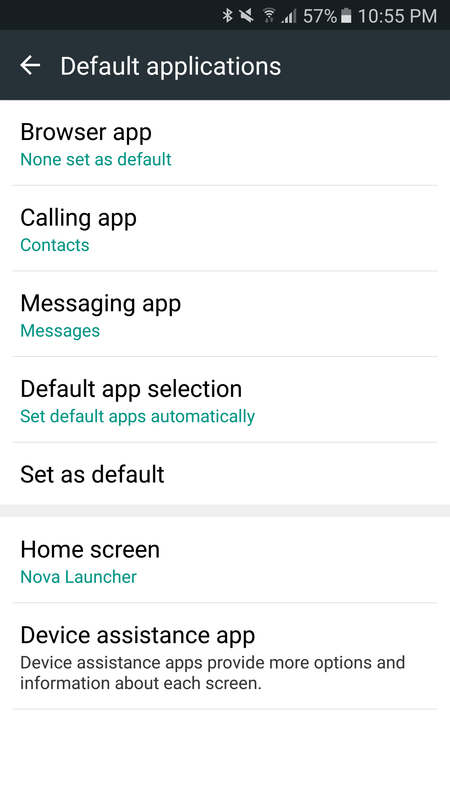 Whatever app you tapped would be set as default. And that meant that the only way to remove the default was to go into the app's settings and clear the defaults. It was annoying to me and frustrating to many other users. That has changed in some recent Samsung monthly security update. 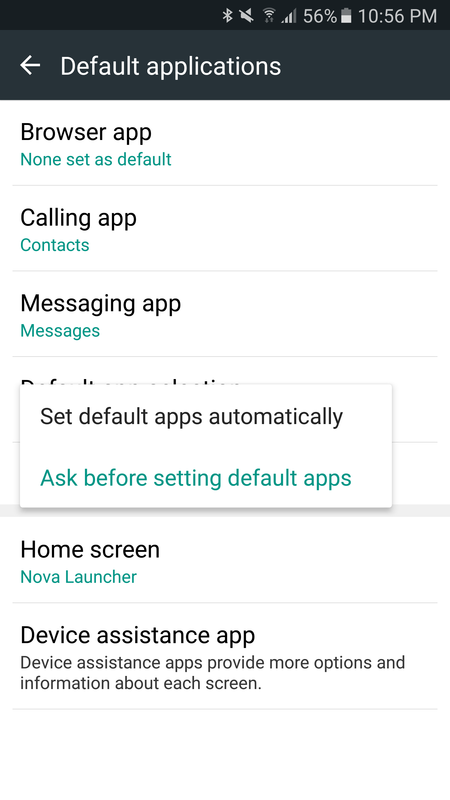 There's a new option under Settings > Applications > Default Applications > Default app selection, and you should probably switch that to Ask before setting default apps so that your phone doesn't start assigning defaults from the first time without asking you. With Set default apps automatically, the picker just shows you the apps that can handle your request. 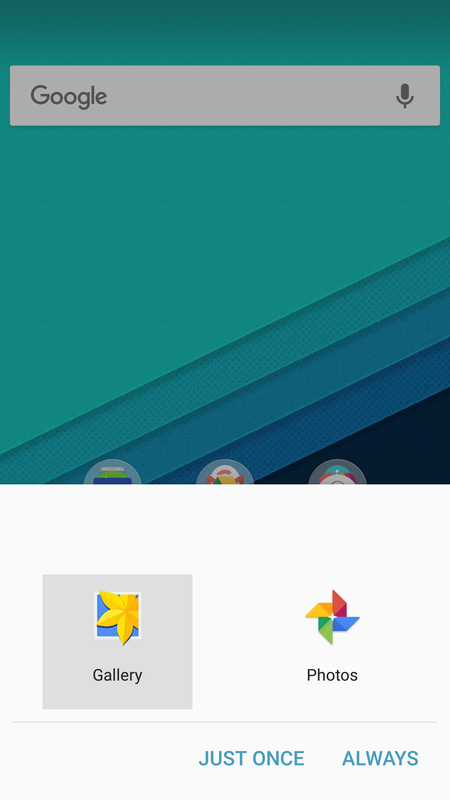 When you change it to Ask before setting default apps, you get the added buttons to say Always or Just once. Aaaaaaah finally! 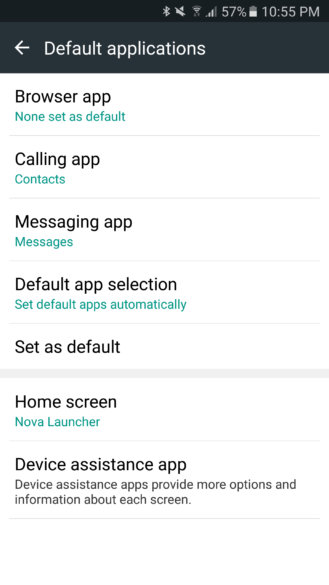 We can trace this new setting back to the June monthly update on the S7 / S7 edge, but it might have been added before. We're also not sure what other devices have seen this change. Chances are all those who are getting the monthly updates have it, but we can only confirm it on these two phones. Let us know if you see it on other Samsung devices.